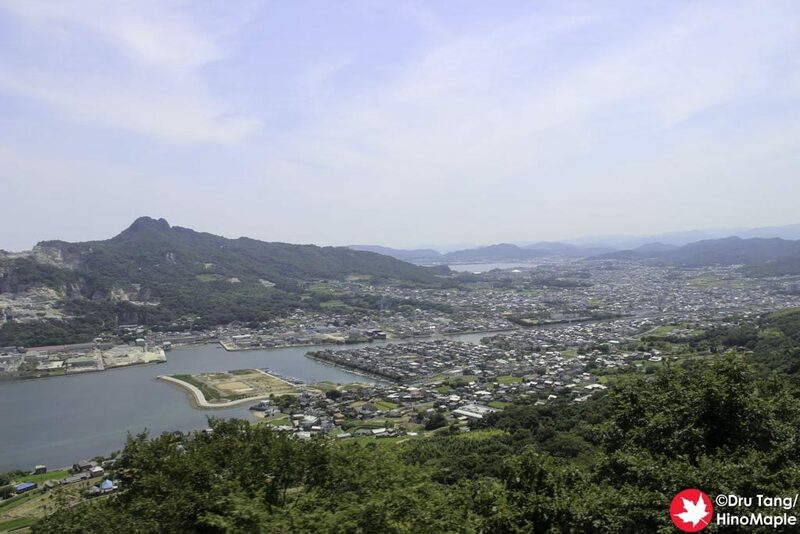 Yashima is a small “island” located just east of central Takamatsu. While technically an island, for all intents and purposes, it is very well connected to land and the only separation is a very small river that is only meters wide. 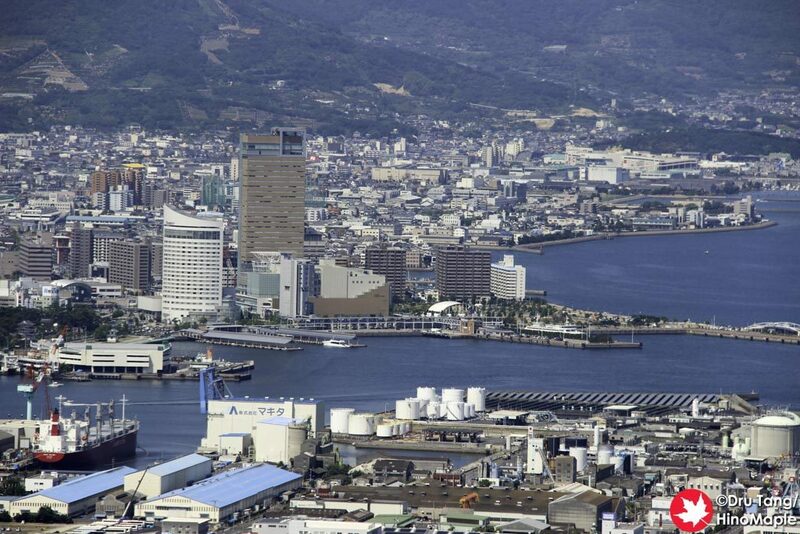 It is one of the best vantage points in Takamatsu and worth a visit if you have never been there. Getting to Yashima is pretty easy. There are two options, either the JR trains or the Kotoden trains. 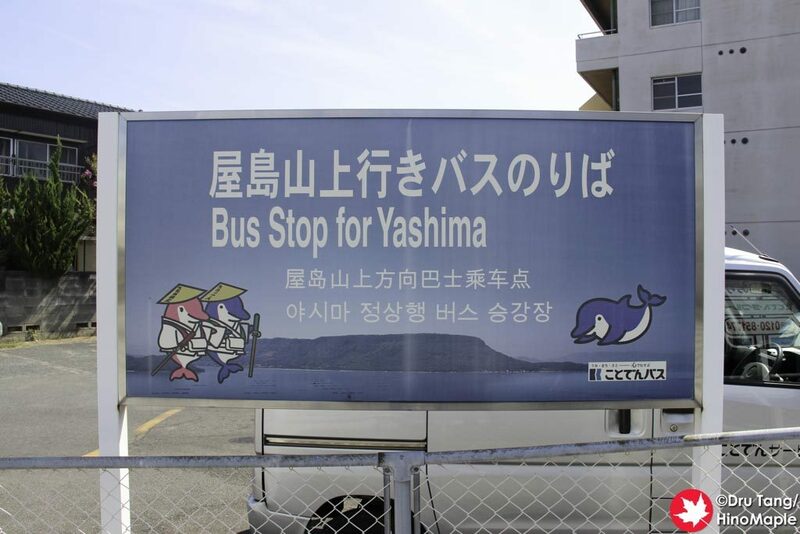 The JR Yashima station is a bit farther from Yashima than the Kotoden Yashima station. I would highly recommend using the Kotoden over the JR trains as they run relatively more frequently and they are more predictable. Trains run 3 times per hour, but you must change trains at Kawaramachi Station if you are staying near the harbour. The JR trains are not bad but they run about 1-3 times an hour and you really need to time it right. There is a shuttle bus that goes up and down the mountain and it is timed with the trains. 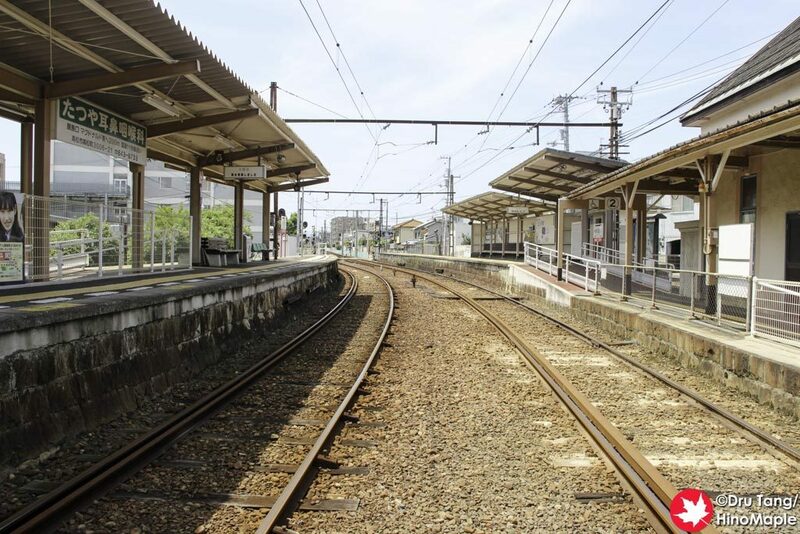 As long as you get on the correct Kotoden train each hour, you’ll arrive just a couple minutes before the bus. The bus stop is just across the station in a small parking lot. The buses are pretty old but they will get you to the top safely. On weekdays, buses will run once an hour but on weekends and holidays, and sometimes during events, it will run more often. If you drive, you have to pay to use the road. It is one of, if not the most expensive toll road in Japan. The road itself is really nice. It winds its way up the mountain on both sides and the views are spectacular. If you are driving, you can easily stop at a couple of pull outs to enjoy the view. If you are taking the bus, you have to be quick with taking photos. Walking up the road is not an option but there are trails that start next to Shikoku Mura located at the base of the mountain. The parking lot is a little misleading. The buses will stop at the far end of the parking lot, but I found it was not a good side of the parking lot to stop. The entrance to the parking lot is the best place to start a tour of Yashima’s mountaintop, rather than the gift shop where the bus stops. 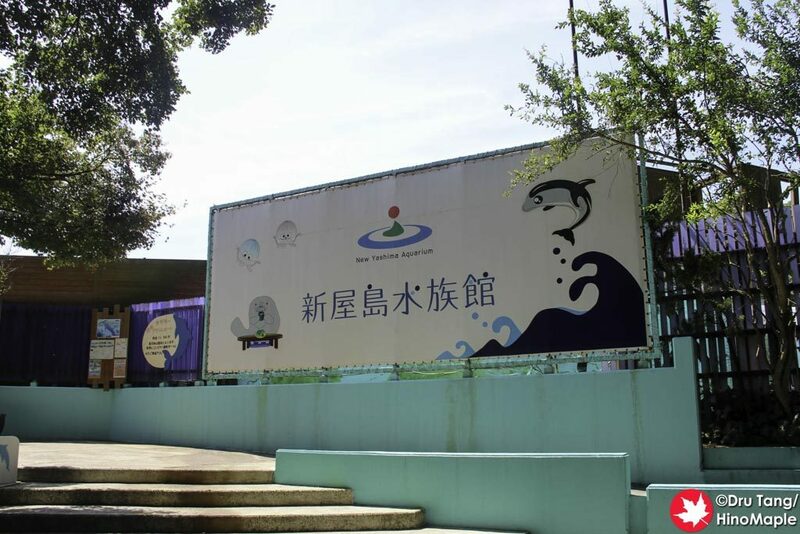 As you head around the top of the mountain from the parking lot entrance, you will head towards the New Yashima Aquarium. It is full of kids looking to have a fun time and it sounded like it. There are a few little park areas as well before you get to the main lookout on the north side of the mountain. The west side of the mountaintop has the best views that I know of, but I did skip part of the mountain. 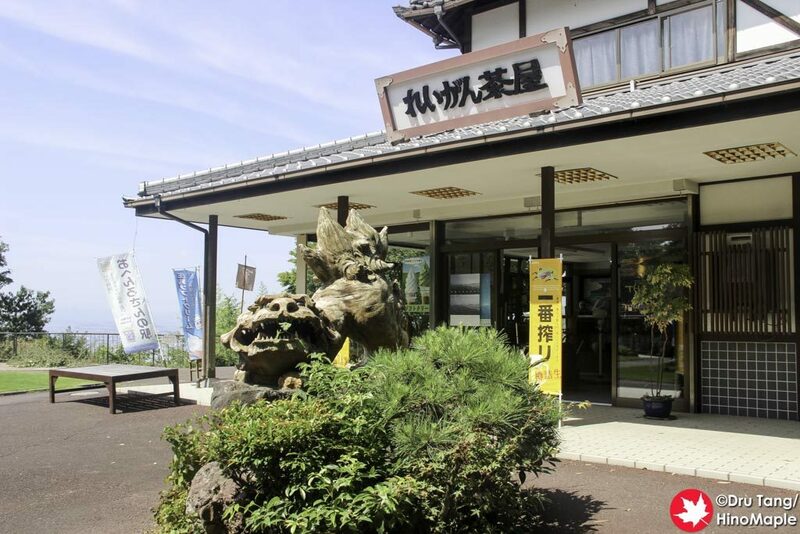 Most people will go to the western most look-out which also has a small hotel and tea house/souvenir shop. People will spend a lot of time enjoying the view but there really isn’t much else to do here. I would then recommend heading down the “shopping street” which is just a small section of old shops. They were not very busy when I visited and I didn’t really think they were good. 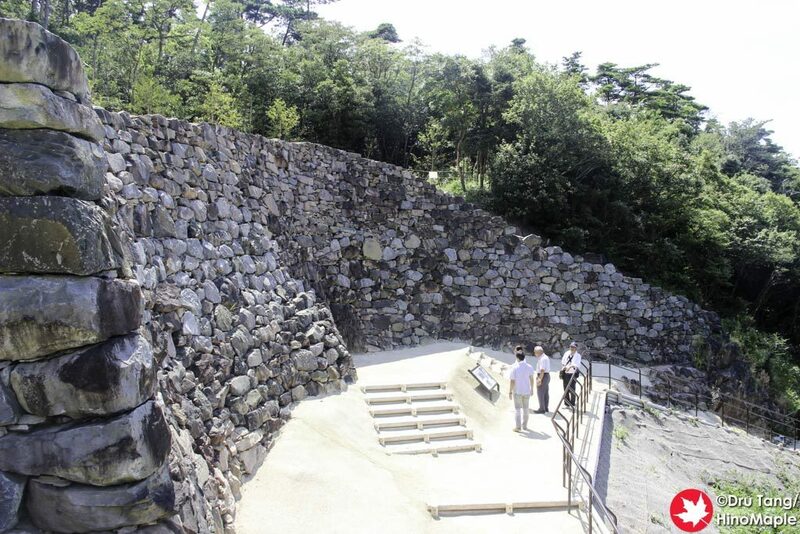 It is just a good way to access Yashima Temple. 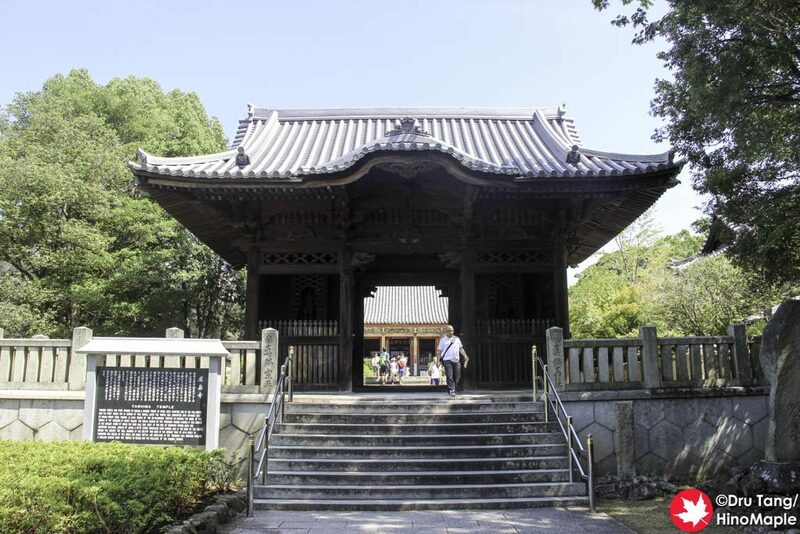 Yashima Temple is probably the main reason you should visit Yashima. 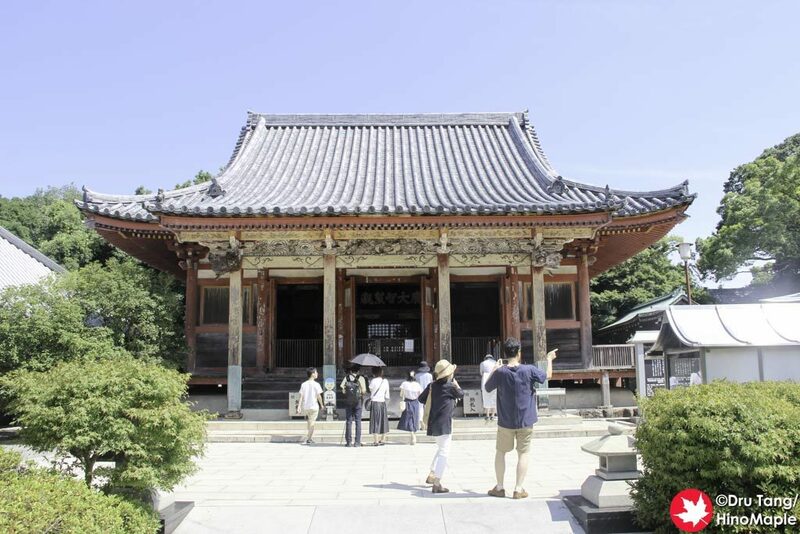 It is part of the Shikoku Temple Pilgrimage and a beautiful temple as well. I entered the temple through a “side” entrance which is actually the “front” entrance if you are entering from the parking lot. 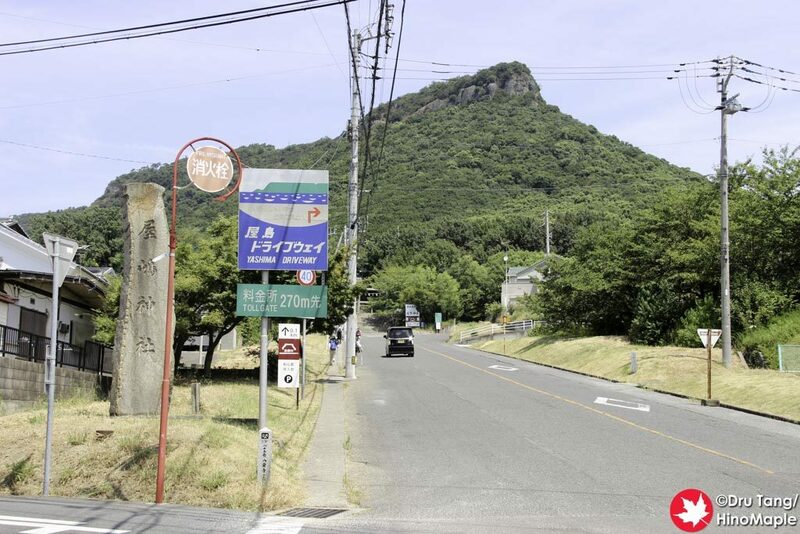 It is confusing as the main entrance is actually on the other side if you take the roundabout route as recommended above, or if you hike up from the bottom of the mountain. The “front” entrance from the parking lot is actually considered the main entrance as they had a nice table with people giving free tea and biscuits when I arrived. The temple is a standard temple with a few nice buildings. I was more interested in seeing the tanuki, a racoon dog. 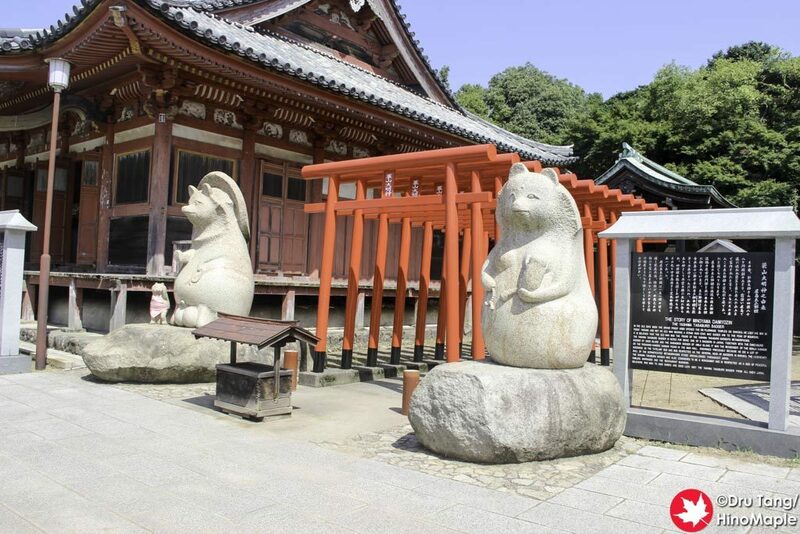 They have really big statues of the tanuki and they looked majestic in how they were standing. I was a bit sad that I didn’t have my goshuin (stamp book) as I didn’t want to lug it around with me for the entire trip. I may have to go back again just to get my book stamped next time. 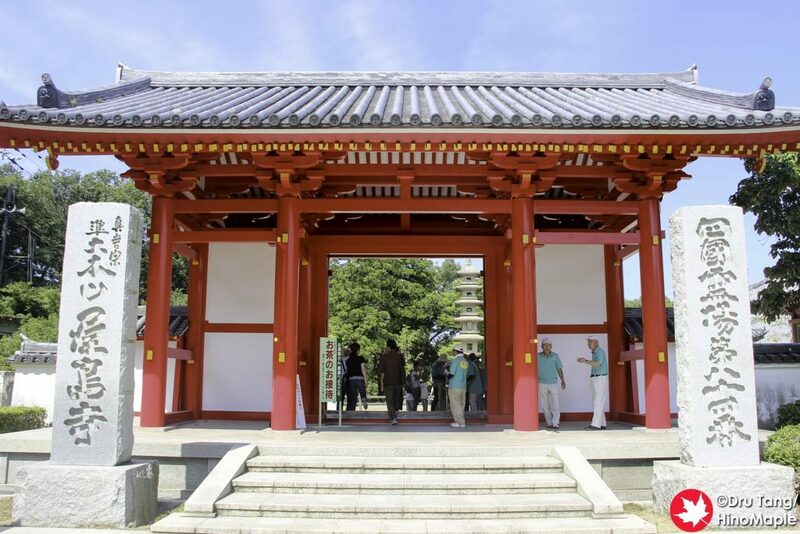 If you head out of the main entrance of Yashima Temple, you will be on the pilgrimage trail. There are a few interesting things out that way as well. I ventured a few minutes towards a lookout but gave up due to the heat and time. I ventured as far as Yashima Castle. There isn’t really a castle but there are some old walls along the side of the mountain. I ventured around on the old wall ruins and then returned to the temple. There really isn’t any reason to head out this way unless you want to settle your curiosity. On returning to the parking lot, I realized I missed a very important place, the blood pond. I had completely missed it and had to look for it. 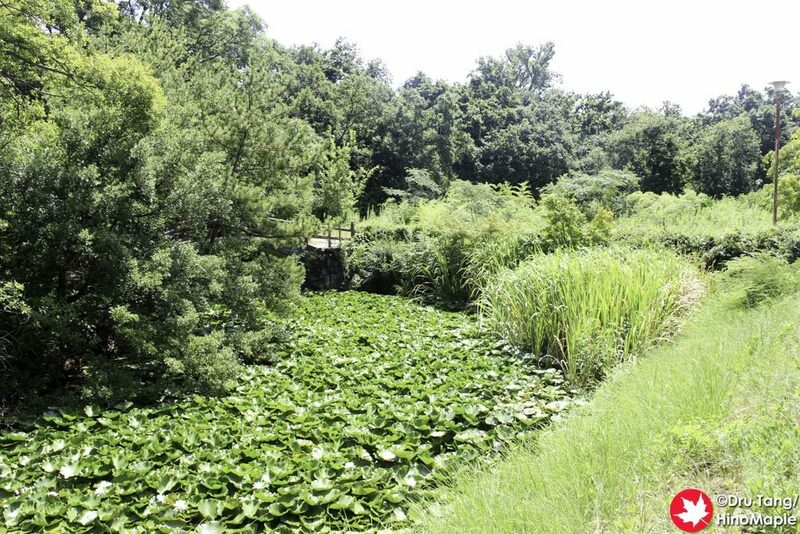 The blood pond is a normal pond that got its name after the battle of Yashima. It was a bloody battle between the Tiara and Minamoto clans where Minamoto won. After the battle, Minamoto’s warriors washed their swords in the pond turning it red. This is just a tale and while many people swear that it is true, there isn’t a lot of evidence to say that it actually turned red. There was another story that I heard but unfortunately I cannot remember it. 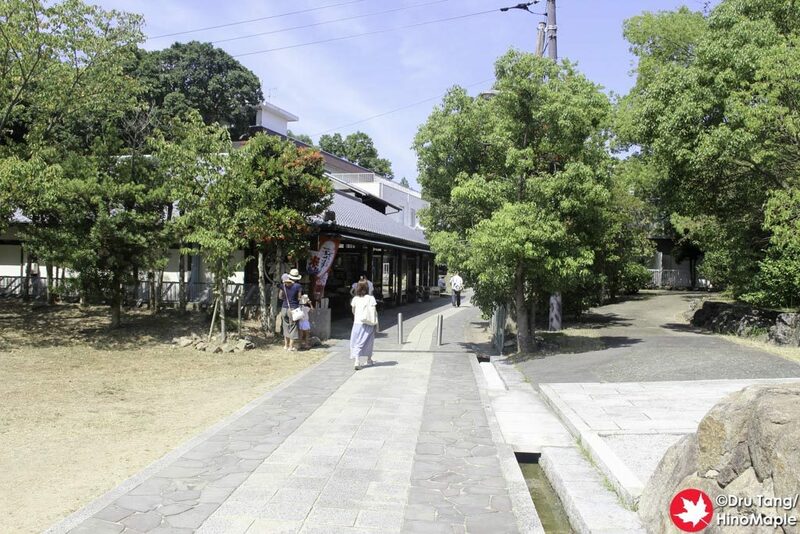 If you are looking for the blood pond, it is between the parking lot and the entrance to Yashima Temple, on the left. 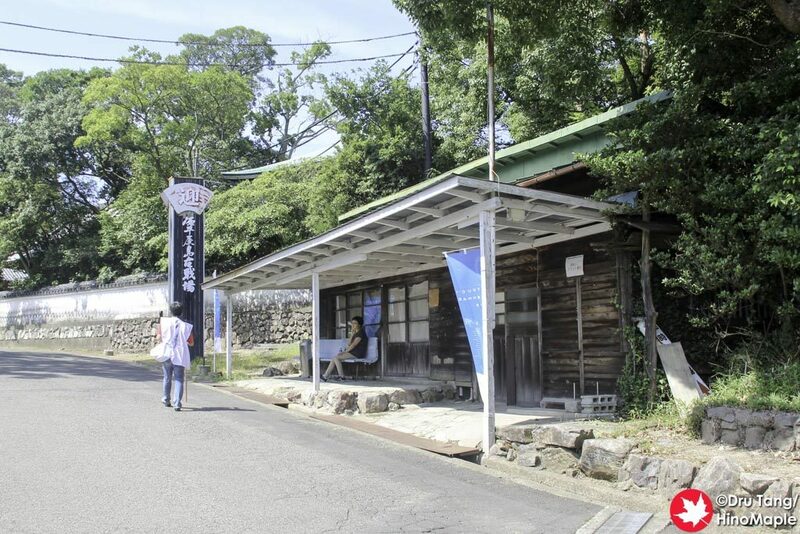 The last thing to do on Yashima is visit the souvenir shop. It is a nice little shop but there really isn’t anything special. I used it as a place to cool off before catching the bus back down the mountain. Yashima is a nice place to visit and I do recommend visiting if you have a chance. I have always regretted not visiting before but thankful that I did have a chance to go this time. I don’t know if I’ll go back again in the future but you can be sure that I will think about it. 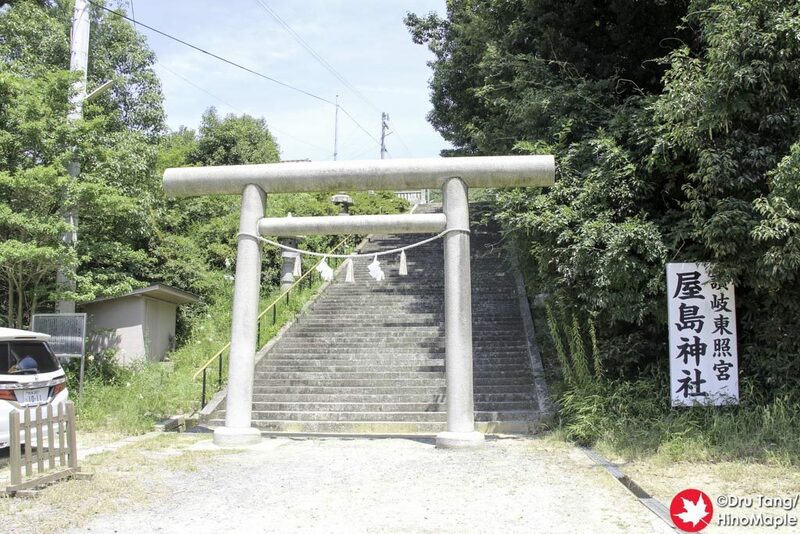 This entry was posted in Shikoku and tagged Battle of Yashima, japan, Kagawa, Minamoto Clan, New Yashima Aquarium, Reigan Tea House, Taira Clan, Takamatsu, Yashima, Yashima Castle, Yashima Shrine, Yashima Temple by Dru. Bookmark the permalink.